Kenton started and finished the 2nd heat race in 4th. That put him starting the A feature on the 6th row outside. He was able to make it up to yet again finish in the top 5. Andy Bryant took the win for the second week in a row, Tyler Kidwell was second, third was Tim VanGotten and fourth Brian McGowen. 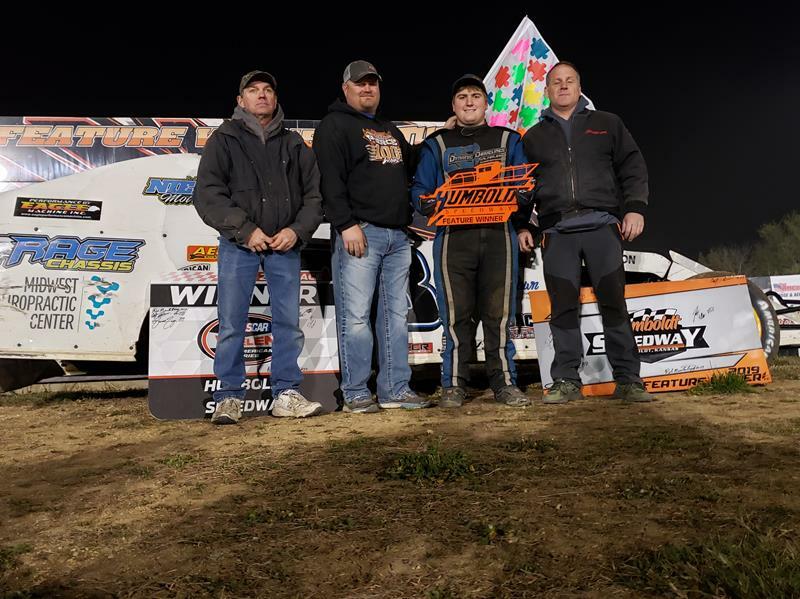 Added to the excitement for 2019 is Love’s Travel Stops Midwest Modifieds which saw Rob Muilenburg pick up his second win on the year, this time he fought of Jerry Brown and Trevor Vann for the victory, Heat race wins went to Rob Muilenburg and Jerry Brown. Racing returns to Humboldt Speedway on April 19th when Sprint cars invade “The Hummer” with the ASCS Sooner Region, Red River Shootout. Also competing that evening will be Ray’s Metal Depot NASCAR B Modifieds, Home Savings Bank NASCAR Factory Stocks, O’Reilly Auto PArt Sport Compacts and Love’s Travel Stops NASCAR Midwest Modifieds. For more information make sure to check out www.humboldtspeedway.com for all the up to the minute news about Humboldt Speedway.